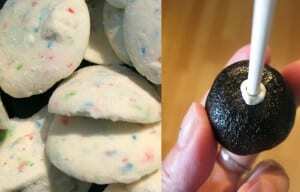 DIY: How To Make Oreo Pops And Oreo Truffles! 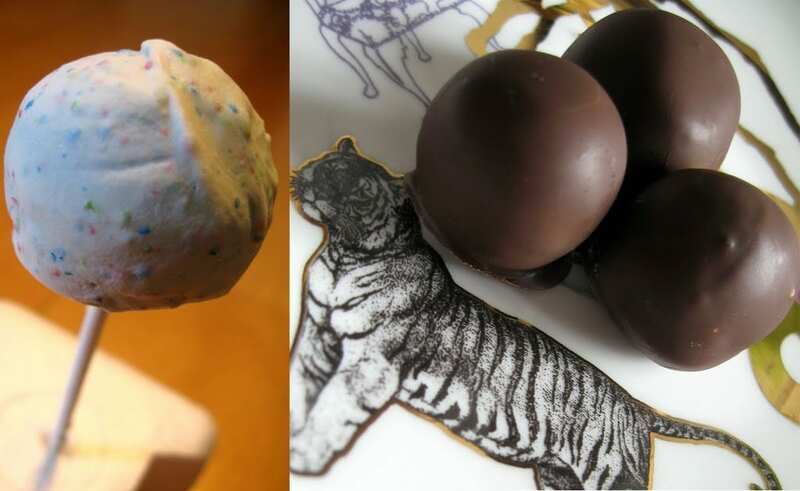 Today we made Oreo Truffle Pops! These are so delicious that you will quickly become everyone’s best friend once you whip them out at your next picnic. On top of that they are super easy to make, meaning you will popular forever! All you need to make these little sweet dreams is a pack of Oreo’s, a little cream cheese and some chocolate or candy melts for the shell… not bad, right? 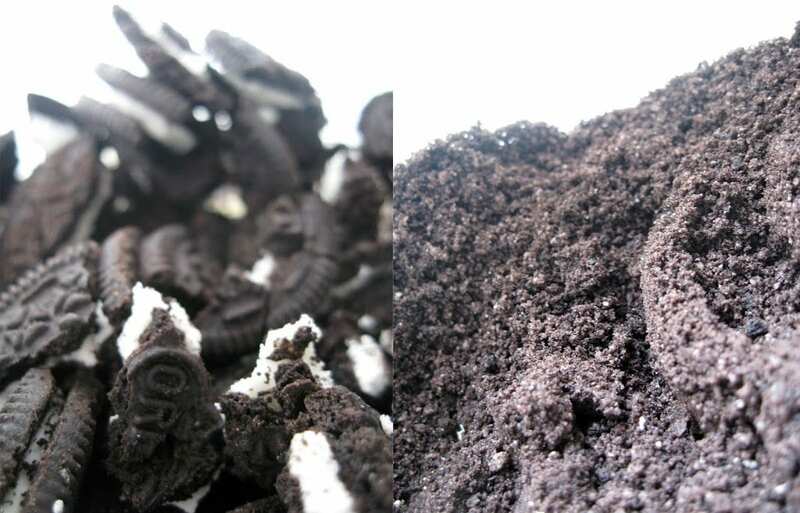 So, first up you want to get your tube of oreos and crush them all up real good until you have oreo sand…. 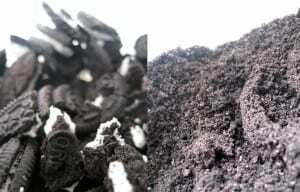 mmmm oreo sand! Then you want to add in a tablespoon or two of cream cheese *full fat* ladies! We know that it sounds a little wrong, but trust us, it is oh-so-right! So, add in the cream cheese and rub in really well. Make sure you add it in slowly as you don’t want the mix to become too mushy. To know it is right, you should be able to create a massive oreo ball which is reasonably firm and very fun! Then you want to split them up into smaller balls which are more bite sized. 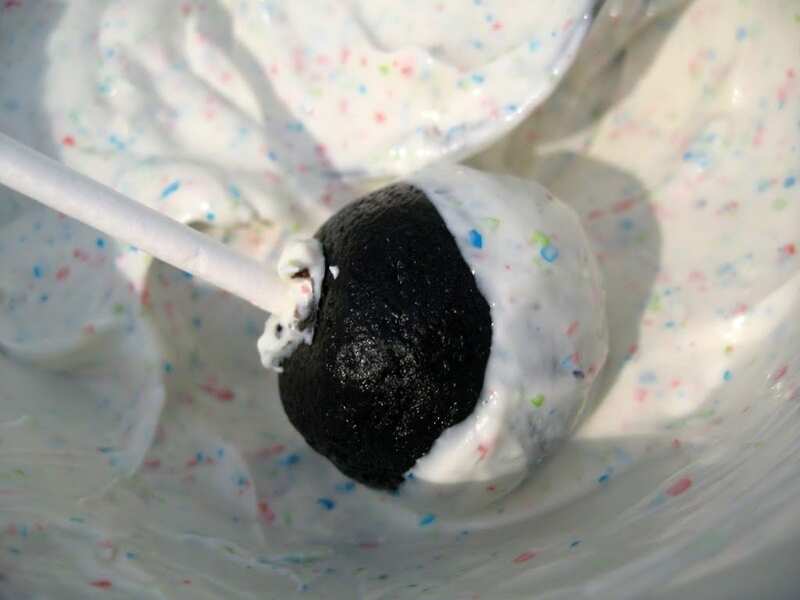 We have decided to mix it up and do oreo balls AND pops – the smaller oreo balls will be chocolate covered and the large oreo pops will be vanilla covered…. everyone is a winner at our picnics! 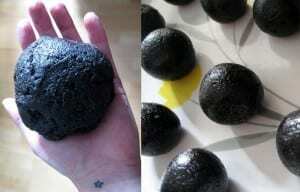 So, once you have made the balls, stick them in the fridge for about half an hour to harden them a little. Then, melt a chunk of chocolate (or an easter egg if you still have leftovers!) in the microwave or in a faux bain-marie on the hob. 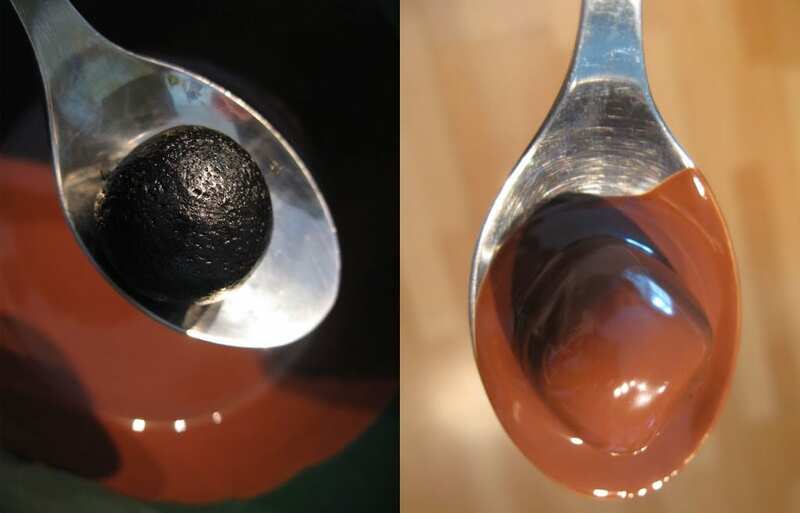 Using a spoon, dip each ball in and fully cover it. Try not to eat all of the melted goodness whilst doing this – we know it is hard! hee hee! Then, you need to let them dry. Place them on a plate or tray with grease proof paper on it so they don’t stick to the surface. Trust us, that’s the last thing you need! Now, for the oreo pops, we used vanilla candy melts for the coating as it is super cute! First up, melt the melts as you would the chocolate and dip the end of your pop in it to get it a little sticky. Then push the it into the bottom of your oreo ball – this will make sure it holds on tight as it is about to go on the ride of its life! You then want to dip the whole thing into the melted candy stuff (or chocolate) and make sure it is all covered up. Mmmmmm! The best way to store your pop to dry is to stand it in a styrofoam block so it doesn’t topple over and stick to your fridge shelf. If you don’t have that (why would you?! ), a bottle can also work well – you will need enough bottles for pops remember! So, pop them in the fridge for as long as you can keep your sticky hands off them! You have yourselves the tastiest treat in the world right there! We hope you are proud of yourself, you are officially the greatest person your new friends will ever know. Come birthdays, holidays and quick pick-me-ups these will hit the spot every time without breaking the bank. Now that is true love! The best thing is, they taste better the longer you leave them. You can store them in tubs once dried and have them for packed lunch every day of the week too. Popfect!